So Lonely in Gorgeous: Stealing Beauty: THREE Cosmetics Flawless Cream & Flawless Ethereal Fluid Foundation Counter Swatches! Stealing Beauty: THREE Cosmetics Flawless Cream & Flawless Ethereal Fluid Foundation Counter Swatches! 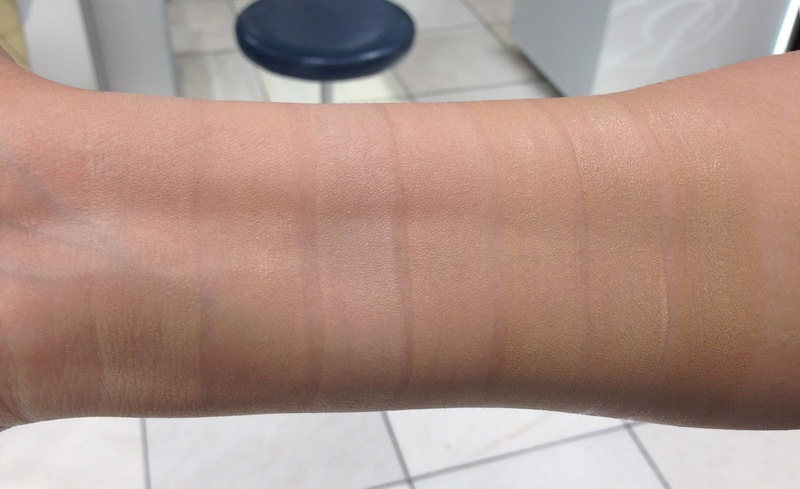 Yesterday, I went on a counter swatching rampage, and first up (requested by Faye): all shades of THREE's Flawless cream and Flawless Ethereal Fluid Foundations. I deplore swatching products at the counter; the lighting is terrible, you have to rely on someone else's assistance to take pictures (usually, the SA looming over your shoulder), and, although I have a great rapport with all the sales associates at the counter I frequent, it just feels awkward. I prefer the comfort of my own beauty cave to provide you all with, what I hope are, good quality swatches. Anyway, I don't mind doing these counter swatches, I just want to give you something of better quality. From left to right: MAC Studio Fix Fluid Foundation NC15 (Faye requested it be swatched for shade comparison); THREE Flawless Cream Foundation 101, 102, 202, 203, 204, 205. From left to right: THREE Flawless Ethereal Fluid Foundation 101, 102, 202, 203, 204, 205, 206. In regards to both foundations, the 101 and 102 are pink based, and the rest are yellow based. I'll be writing an in-depth review of each foundation in the near future. 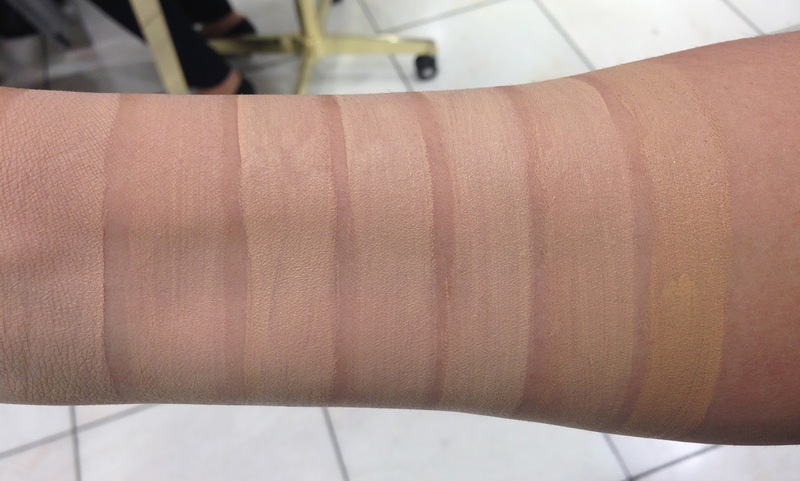 Yeah, swatching at the make-up counter often feels awkward to me too. And you're right, at home the lighting and conditions are just so much better. Thanks for these swatches, great comparison! Thank you, Liz! These are super helpful!